The ToxiRAE II is now obsolete. See the GasAlert Extreme for nitric oxide detection. Please note: this product will become obsolete on the 31st March but support will continue. View the BW GasAlert Extreme - suitable for Nitric Oxide detection. 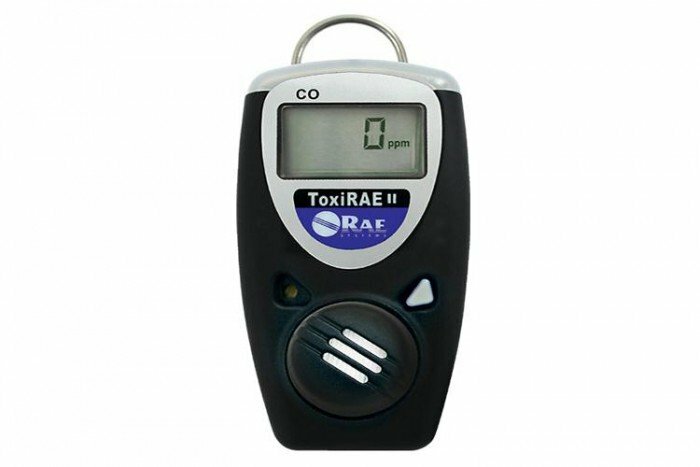 This ToxiRAE II from RAE Systems is a full-featured Nitric Oxide gas detector. It’s ideal for applications such as the oil and gas industry, chemical plants, fire service, industrial safety, pulp and paper and waste-water treatment plants, landfill operations, power plants and also steel mills. It’s a single gas detector with a range of sensors available for multiple applications. It’s compact, lightweight and is also intrinsically safe. The detection of NO gas can be carried out safely with the ToxiRAE II and the use of its stainless steel alligator clip. The clip is corrosion resistant and can be easily attached to a hardhat, shirt pocket, shoulder strap or belt. Bright, easy-to-read LCD screen continuously displays gas concentrations, STEL, TWA and peak values. In the hand the ToxiRAE II feels both tough and light, and the single button operation is easy to use, even when you’re wearing gloves. Just press the button to turn the unit on, and you’re good to go, the ToxiRAE II is doing what it’s been designed to: detect gas and alert you to its presence.